US stocks continue to climb. The Dow has passed the 15,000 milestone. Gold, meanwhile, got smacked yesterday. It sank back to $1,448 per ounce. A mood of prophecy, perhaps brought on by a large helping of osso bucco from our local Italian restaurant, came over us last night. We looked into the future. And there we saw a grim world. As we reported last week, public life bumbles along under a combination of false pretenses and self-imposed delusions. Monday’s news told us that the worst enemy Americans now face is themselves. For every one of them bumped off by a terrorist, nearly a thousand more do themselves in – using everything from pistols to automobiles, to household cleaners. But instead of declaring war on themselves or even turning in their firearms – which would be the logical response – they hire armies of guards, gumshoes, cops and spooks to protect themselves… from someone else! The enemy is invisible, they argue. Their champions must be invisible too. After all, they are engaged in a hidden war with an enemy who can’t be seen by the naked eye. In fact, he can’t be seen with telescopes or microscopes either. Because he doesn’t much exist. Even those few crackpots and malcontents who might want to strike a blow against the US lack the organization, training, tanks, missiles, computers, artillery, ships, guns, trucks… and all the other paraphernalia that might make even a tiny dent in the imperial armor. So the “war” must remain a secret. It takes place in the shadows… a kind of imaginary battle… in which thousands of make-believe soldiers pretend to protect Western civilization from millions of fantastic foreign fiends. How many combatants? How much military hardware is on the field? How much will this war cost? An estimated 854,000 people, nearly 1.5 times as many people as live in Washington, DC, hold top-secret security clearances. In Washington and the surrounding area, 33 building complexes for top-secret intelligence work are under construction or have been built since September 2001. Together they occupy the equivalent of almost three Pentagons or 22 US Capitol buildings – about 17 million square feet of space. Many security and intelligence agencies do the same work, creating redundancy and waste. For example, 51 federal organizations and military commands, operating in 15 US cities, track the flow of money to and from terrorist networks. In the spirit of civic improvement and solidarity, we offer a modest suggestion. Instead of screening people in airports to find those who forgot to take the mouthwash out of their hand luggage, why not ask travelers if they have considered blowing their brains out? Those who answer in the affirmative could be assigned three or four federal employees with security clearances to watch them day and night. The suicide rate would plummet. As it is, our spook resources are clearly underused. There are probably 10,000 security personnel for every potential terrorist. What do all these people do? What will happen to a nation that devotes so much of its resources to fighting a war with largely imaginary enemies? “You get what you pay for,” said Milton Friedman. Spending billions on terrorism is bound to produce terrorists. How long will it be before the clandestine terrorist agencies begin their own campaigns of terror? Perhaps they already have. With so many secret agencies plotting, conniving, enticing, luring, fomenting, and sowing their evil seeds, it won’t be long before something takes root. The public (the same people whose most lethal enemy stares at them from the mirror) will panic. 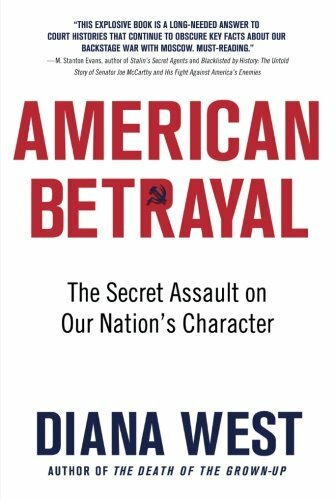 Convinced that a hell-bent terrorist hides behind every bush, they will demand even more protection… more lockdowns… more secret programs… and more jackbooted spooks. The harder we looked… the more we didn’t like what we saw.